The accessory list comprises of cosmetic add-ons and protective guards. The add-ons are compatible with the Classic and Bullet range as well. These parts can be bolted onto your bike within an hour’s time and come with a 2-year manufacturer’s warranty as well. 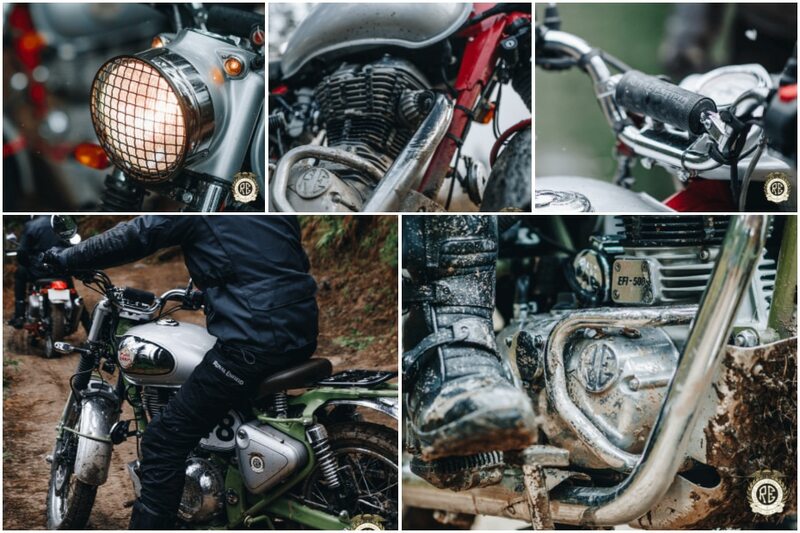 Interestingly, as per the dealership, since the Bullet Trials is based on the Classic 350 and Classic 500, all the above-mentioned add ons are compatible with Classic and Bullet models. These accessories will certainly add some oomph to your bike while supplementing its off-road prowess to an extent. That said, we would like to add that Royal Enfield does not recommend using the headlight guard on highways as it affects the throw and spread of light. The Bullet Trials is available with two engine options - 350cc and 500cc. The former produces 20.7PS of power at 5250rpm and 28Nm of torque at 4000rpm, while the latter puts out 27.5PS at 5250rpm and 41.3Nm at 4000rpm. Both come mated to a 5-speed transmission.